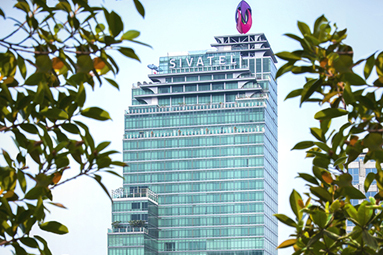 Standing tall in one of the greenest areas of the city, right in the middle of Bangkok’s newest prime business center. Amid major luxury shopping complexes and foreign embassies, the hotel offers an oasis-like escape within the city itself. 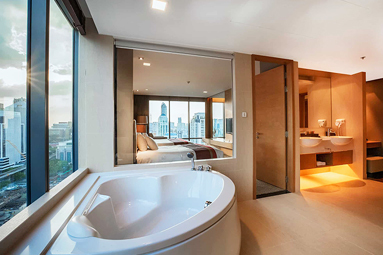 This boutique all-suite hotel offers easy access to BTS sky train at the Ploen Chit station just 5 minutes walking distance. 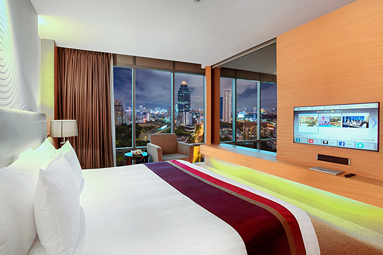 The glistening city of Bangkok and the relaxing, serene greenery of the Royal Botanic Gardens are an excellent setting for most families or travellers in search of accommodation for their vacation. 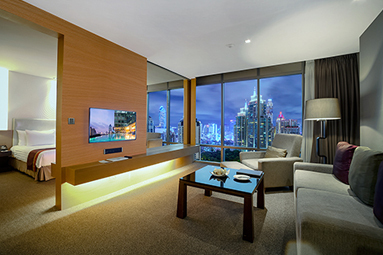 There is an alternative 2-bedroom suite which provides even greater value, with upgraded amenities to enhance the comfort of your stay. 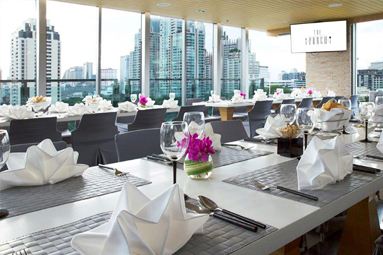 Sun-drenched balconies offer a great view of Bangkok and the Royal Botanic Gardens.